Building website authority has changed a long way from the good old traditional techniques. We need to focus on many factors and tools available over the internet to build site authority but it will require hard word, dedication and patience. There are many factors which will determine the authority of a website which includes the quality of contents in it, domain age, website readership, bounce rate, etc. All these factors help search engines to rank your website. If you want to know your websites authority, you can use the SEOmoz domain authority tool as they have created a tool which almost covers all the aspects we have discussed above. These days, there is one more thing we need take into the website authority building and it is Social Authority. There are numbers of ways to use social media to build authority for your website. Here are some of the best tips. Creating a social authority is not an easy task but at the same time, it’s not an impossible one. Getting real in social media’s will help you in a long way. Think about a way to become an expert in your industry and use your expertise to create good contents and then share it on social media. If people find out that you have the expert knowledge, then they will follow you for sure. This is the most important part of creating a social authority for your website. Before providing tips to your audience, try to listen to them by sending out surveys, feedback forms and find out what they are exactly looking for. This will certainly help you to give the best for them and get maximum impact. Also try to use niche forums and social media sites, since they are ones which gives maximum interaction (based on a recent report). Most people tend to keep their industry trade information to themselves. But if you want to create an authority for your website using social media, then you need to give your readers the best possible information which includes industry insider, special reports, expert ideas and research data. All these things will reach your audience quite easily and will make them to believe your brands as experts. If you think that by sharing few useful contents, tweeting few posts and getting few Google +1 votes will make people to believe you as an expert then you are wrong. 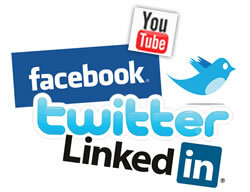 People want to follow people who have high level of engagement in social media sites along with regular interactions. If you want to become an authority user and build authority for your website then you need engage with your audience in any possible way. Always try to grow your network by connecting with other people in your niche. You can do this by retweeting their status messages, asking questions to them, answering for their questions, adding them to your Facebook friends list, adding them to your Google plus circles, etc. Growing your network will always help you to create an authority for your website. Also try to offer help for those people who are seeking for it. Remember to be an expert and consider as an authority person you need to prove your credentials and expertise. Building authority for your website using social media is a long approach and it should be done with care. If you tend to ignore the social media realm, then it will not be impossible for your competitor to beat you. Follow these tips with care and create a successful brand for your website.